“Near me” searches have increased by 130%. Use these 8 local SEO ranking factors to boost your search visibility with your audience. Local SEO is a largely untapped yet significant opportunity for small businesses. According to recent research, only 34% of small businesses invest in SEO. As the competition battles for the top spots in organic search, you get to generate exposure with customers actively seeking in your area. 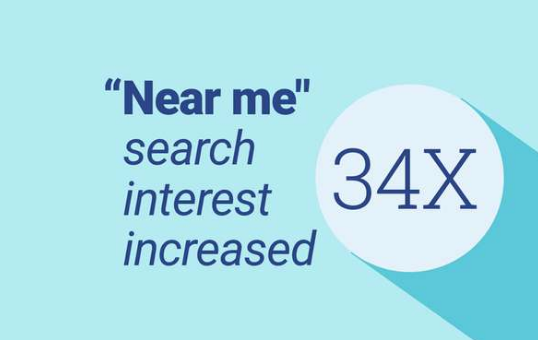 Consider that “near me” searches are increasing by 130% year-over-year, as reported by Think with Google. This represents a huge 34X increase in a single local search query since 2015. Winning at local SEO means contending for one of two rankings. The first is the snack pack. This is the small box that appears at the top of search engine results pages (SERPs). The snack pack contains your opening hours, reviews, and business contact information. These are especially relevant for brands with a brick and mortar store. Organic page rankings are the second way to approach local SEO. Just like general SEO, the top of the SERPs is typically dominated by comparison and review sites. However, if your local SEO is good, it will improve your organic rank. Today we review the 8 most important local SEO ranking factors. 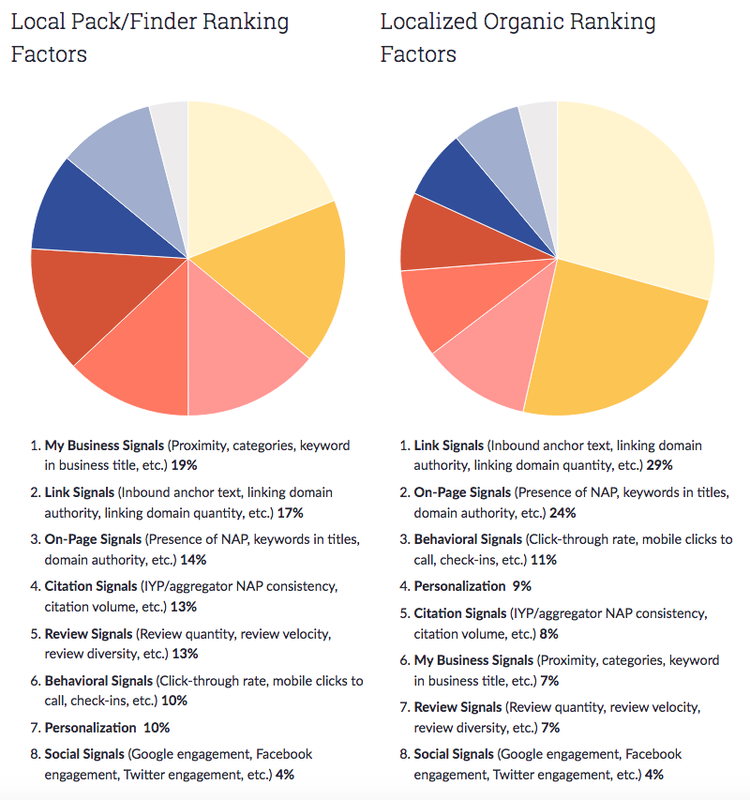 These ranking factors come by way of Moz’s 2017 Local Search Ranking Factors Study. The pie chart below shows the order of the eight ranking signals by importance, both for the snack pack and organic search. A Google My Business listing is what appears at page-right when customers search for your business on Google. An adjunct to your website, this profile lets you present customers with all your important business information. 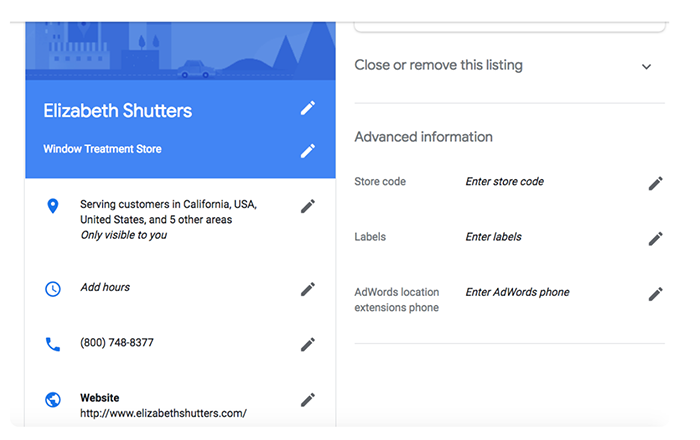 Fully complete your GMB profile to maximize your success with local SEO. The example below shows a sample profile. Post an address (especially important for snack pack, which ranks proximity as a search factor). GMB profiles with more reviews, more replies, and greater time online will receive a better ranking. Much like general SEO, links are an influential signal for local SEO. The more links arriving to and leaving your page, and the more authoritative these links are, the better your ranking will be. Inbound link authority: This is the most important ranking factor because it tells Google that other people find your site valuable. Tools like Ahrefs and SmallSEOChecker let you check your backlink profile. Inbound links from locally relevant domains: Google assigns local relevance to links from nearby sources. For example, an inbound link from a community center would be a valuable local link. Link quantity: The more high-authority links your site acquires, the better it will rank. If your content is top-quality, guest blogging and affiliate networks can help you generate large numbers of quality backlinks. Link diversity: Since Google’s Penguin algorithm, search engines have begun to factor a variety of backlinks. To be most effective, links should be acquired in an organic fashion from a multitude of sources. The third most important local SEO factor is on-page content. You should avoid keyword stuffing and focus on sharing relevant information as needed. Content length: According to Backlinko, the average length of a first-page result on Google is 1,890 words. Length is a general indicator of quality, so fill your site with comprehensive, valuable content that users will read in full. GMB page: The title and content of your GMB page must be relevant to local users. Page title: Include your main keywords here. Header tags: The H1 header indicates the topic of a web page. Place keywords here to signal relevance to readers and search engines. Meta description: This 150 character description of your page appears beneath the page title on search engines. Use it to furnish users with key information about your business. Local relevance of content: To be locally relevant, content should reference the area surrounding your business. This can be in-content links to local sites or referring to local areas of interest. NAP footer: Your NAP (name, address, phone number) should be in the footer of every page. Make sure this matches your GMB profile, and load this structured data into Schema to ensure it’s read by Google. Citation signals are concerned with how well your company’s information can be verified by other online sources. Citations may come from other businesses, review sites, or social media platforms. 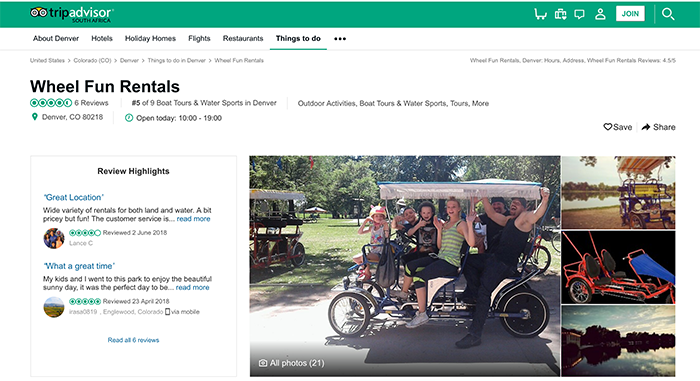 Say your bike rental business shows up on Tripadvisor, as shown below. Google’s web crawlers will find your site data — NAP, for example — listed on Tripadvisor and give you a bump in the rankings. The more times your site details show up across the web, the more credible your site will appear — and the better your local SEO will be. Citation consistency: If the data in your citations differ between sites, Google might interpret this poorly and diminish your local ranking. Citation authority: More authoritative sites will provide more beneficial citations. For example, web directories like FourSquare and Yelp have high authority, as would newspapers and government offices. Citation relevance: If relevant domains in your geographic area post your business details, such as blogs or churches, you get an uptick in SEO. According to Statista, 84% of consumers trust online reviews from other consumers as much as personal recommendations. Naturally, search engines also consider online reviews a signal for local search. Review signals impact the snack pack more than the organic local search results. To improve your reviews, ask users for honest and productive feedback. Point customers to the “Write a Review” button in the snack pack, as seen in the GMB from Renegade Brewing in Denver. These testimonials help to establish your credibility. Ultimately, the authority of the review signal will determine its weight. Feedback posted on third-party review sites will increase your exposure, drive referral traffic, and lend legitimacy to your business. Learn how to get more online reviews in 5 easy steps. Click-through rate: This is the frequency with which people click your link in search compared to competitors. The more people clicking through, the more relevant your page appears to search engines. Bounce rate: This is how often people arrive at your page from the search results and leave immediately. A high bounce rate indicates that your content isn’t relevant, resulting in a lower ranking. Time on page: If people browse your site and find value, they will stay for longer. Images, content quality, and page organization are instrumental in helping users consume more content. Mobile clicks-to-call: Google interprets a call from the mobile search results page to be a clear signal of relevance. According to research by Google, more than 40% of mobile searchers use click-to-call. Directions to business clicks: Search engines figure that if people travel to your business right after feeding it in search, the business must be trustworthy. As search engines evolve, businesses must keep pace. While the specifics of Google’s algorithm remain a mystery, it’s clear that everyone receives different search results based on their browsing history, cookies, and location. Personalization is the x-factor in local SEO, but an important one nonetheless. Making your site mobile-friendly is essential to securing good standing for local SEO. If your site performs poorly for mobile users, search engines will downgrade your site and people will turn elsewhere for a better user experience. The Venn diagram below shows the intersection between location-based information and SEO — all of which is mobile-relevant. You can also tweak your mobile strategy to accommodate voice search. According to Search Engine Watch, mobile voice searches are 300% more likely to be locally relevant than text searches. These queries often come in the form of a question or a “near me” search, so personalize your keyword strategy by including these long-tail keywords of your local users. 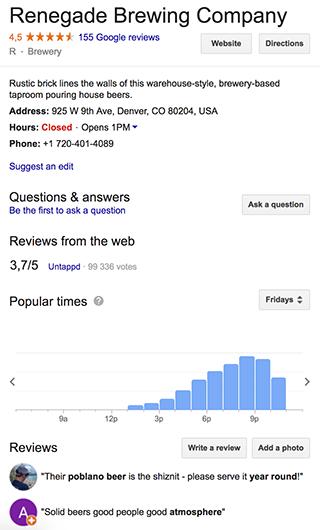 The way social media signals impact local SEO is unclear. However, social proof is definitely a factor that search engines consider when ranking your website. 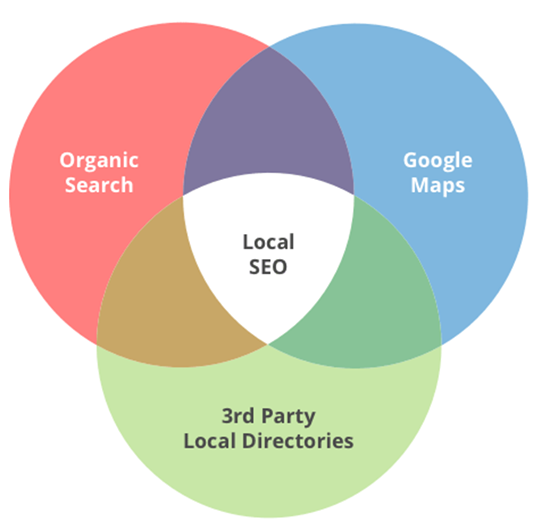 Local SEO can be an especially competitive way to generate visibility for your business. Attending to all these factors at once can help you drive site traffic, create exposure, and achieve your revenue goals. This article was originally published on The Manifest on July 31, 2018 and was written by Ian Heinig. Practical business wisdom to help you make your business goals a reality. Visit us at https://themanifest.com.